Once upon a time—June 1972, to be exact—Dolly Makoff, daughter of the owners of the fashionable and upscale Makoff’s department store in downtown Salt Lake City, opened a shop on Park City’s Main Street selling books, records, and clothing. She named it Dolly’s Boutique & Bookstore, her namesake, and also her cat’s. In 1984, the Weiss Family acquired Dolly’s (510 Main St, 435.649.8062), and in 1998 it was sold to husband-and-wife owners Chip and Kathy Pederson. Today, books and cats still rule the roost at the Pedersons’ relaxed, homey shop—the current kitty, Mr. Dolly, is the third in the line of black-and-white tuxedo cats who have resided in the store; there’s also Curious George and Ms. Pippi Longstocking, brother and sister felines. But paper goods and gift items, all hand-selected by Kathy, have replaced the clothes and records, and now there are also decadent confections from the adjoining Rocky Mountain Chocolate Factory (the two shops share an entrance but remain separate businesses). Classic novels and New York Times best sellers to teen series and children’s hardbacks line Dolly’s well-stocked shelves. But it’s the wide selection of titles by local and regional authors and about regional subjects that sets the shop apart from corporate booksellers. “Two things that we focus on at Dolly’s are providing our customers with a great shopping experience, and nurturing lesser-known and regional authors by providing an outlet for their work,” Chip explains. With the help of publishing reps, Dolly’s selection of titles establishes this Main Street fixture as a truly independent bookstore. 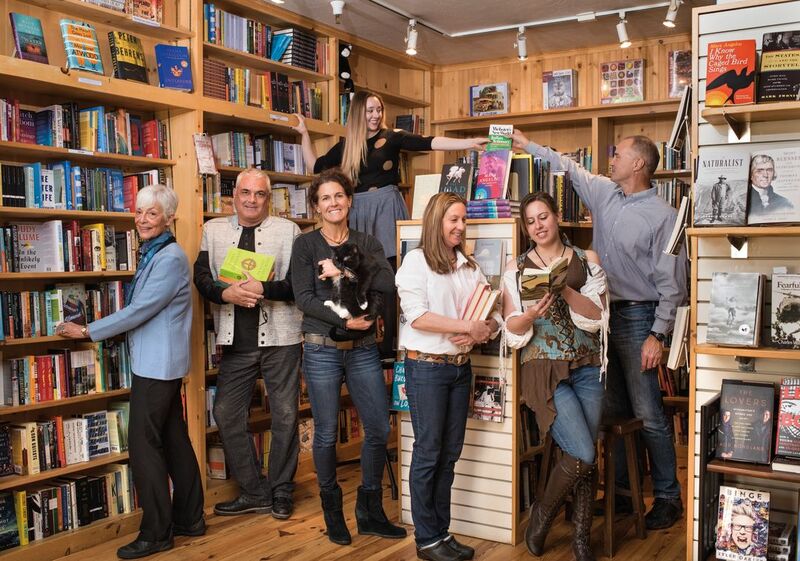 “Dolly’s has been able to ride the wave of web-based book buying and electronic readers by embracing its uniqueness,” manager Sue Fassett says. “Our staff is composed of enthusiastic book lovers.” Fassett is one of them; she’s been the book-buyer for 10 years and firmly believes that what separates Dolly’s from the likes of Amazon and Barnes & Noble are the employees. “Dolly’s would not be the same without a staff who love sharing literature.” To further spread the lit love, Dolly’s hosts frequent author events like readings and signings, plus a monthly book club. So what does their staff suggest you should read this summer? “Come to Dolly’s and you’ll get about 50 recommendations,” says Fassett with a grin.